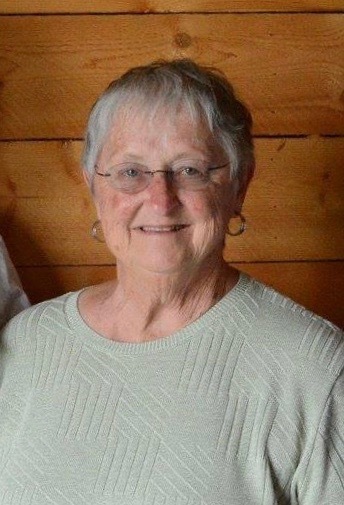 Janice LaVon Thrash, age 77, of Felt, passed away on April 12, 2019 at Cimarron Memorial Hospital in Boise City, Oklahoma. She was united in marriage to Tim Thrash on May 17, 1959. From this union 4 children were born: Billy Clay, Todd Wayne, Dara Zane, and Tara Lane. Janice was born in Elkhart, Kansas on December 7, 1941, to Justice Lavelle (Bud) and Joyce Elverna (Joy) Colborn. Janice was the eldest of 3 children. She was a loving sister to her little brothers, Gary and Jerry. Janice was preceded in death by her parents, Bud and Joy, 2 sons, Billy Clay and Todd Wayne, father-in-law and mother-in-law, DB and Lucille Thrash, and brothers-in-law Ron Thrash and Randy Nelson. She is survived by her husband, Tim; daughter Dara and husband Stephen Vaughan, daughter Tara and husband David Brister. She is also survived by her 4 grandsons, Keagen and Sawyer Vaughan, Rodie Brister and wife Ashley, Rorie Brister and fiancé, Kailee Brock. Janice is also survived by her siblings: Brother Gary Colborn and wife Sass, brother Jerry Colborn and wife Chris; Sister-in-law Judy Dunn and husband Butch, sister-in-law Linda Nelson; Brother-in-law Robert Thrash and wife Ardith, brother-in-law Bruce Thrash and wife Cathy, and a host of nieces and nephews. Janice was very involved in her community and her grandsons’ activities. She loved watching their sports and stock shows. She was very proud of them. Lots of kids lovingly called her “Mom.” Janice was an independent woman who was loved by many. She will be greatly missed by her family and many friends. Graveside services will take place 10:00 A M Saturday April 20, 2019 at Bertrand Cemetery. * or to the donor’s memorial of choice.